Indicator rack, wireless, touch screen, for wheel weighing with printer. - 1 RS232 serial ports, for connection to printer, radio module, PC or PLC, badge reader or remote scale. - 1 RS232 serial port (optional RS485), for connection to printer, remote scale, badge reader, or digital load cells. 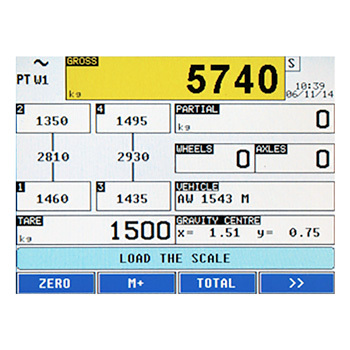 - Fitted keyboard emulation input, for barcode/badge readers or external PC keyboard, through cable with mini DIN connector (optional). - Up to 4 optoisolated outputs (optional). 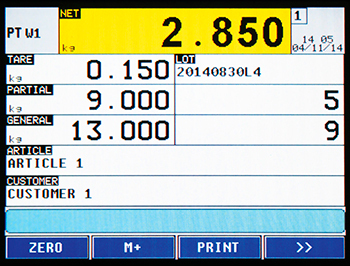 Indicator in portable transport case, with backlit touch screen display, completely customizable. 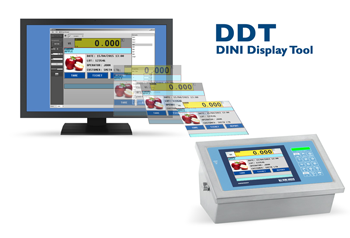 The "Dini Display Tool" is a PC software which allows you to quickly customize the TOUCH SCREEN. Connection of a wired WWS platform to a wireless.